David Waltuck's Staff Meals from Chanterelle is a wonderful cookbook and I've made lots of meals from it, but there's nothing better than staying at home on a Sunday and having someone else cook for you. 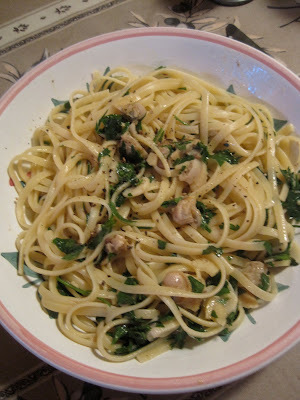 A glass of cold white wine and a bowl of Pasta Vongole with lots of garlic, parsley and anchovies - fabulous! My favorite culinary discovery right now is here in Berkeley, Amphora - Berkeley Olive Oil Works, where you can try more olive oils than you knew existed! Extra virgin Australian, Croatian and Portuguese olive oils along with organic versions from California, Italy and elsewhere. They have an incredible selection that is reasonable priced and they want you to try as many as possible before you buy. When you sample them one after the other you really get a sense for the differences. 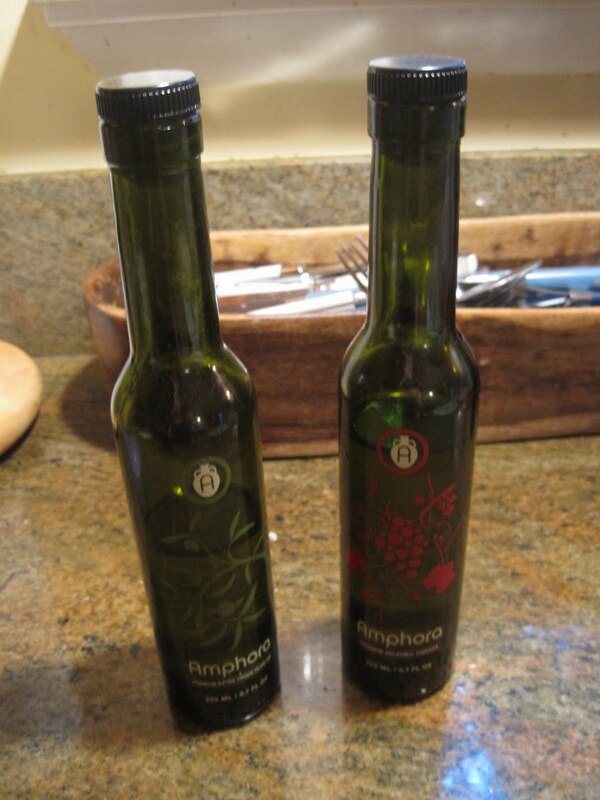 I felt I was developing a taste for the peppery, dark, rich green olive flavor that gets caught in your throat. It's heavier and more robust than the lighter, softer oils. I went in to try their olive oil but the vinegars were a revelation too. A simple dressing of white apricot vinegar combined with a Persian lime infused olive oil, all this and someone else cooking the pasta, what more could I want? I am like a Pavlov's dog looking at that bowl of pasta! One of my resolutions for 2013 is better family catering, and it's taken me a nano-second to put the Pasta Vongole down on my 'to-try' list. Yum!